So wait, I don’t get it. St. Paul’s teachings are based on…Jesus? Did I mention that Felician College is a Catholic liberal arts institution that describes itself (yes, oxymoronically) as “The Franciscan College of New Jersey”? This entry was tagged academia, academic humor. Bookmark the permalink. 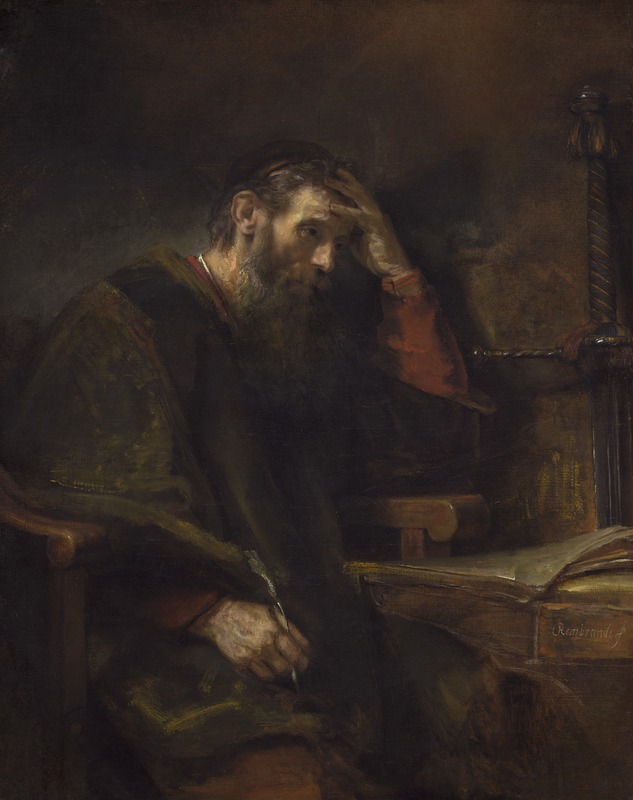 Even as I was writing the original post, it occurred to me that I have a very anti-St-Paul friend who teaches New Testament as Literature, and believes that Paul’s Letters weren’t based on the teachings of Jesus–but I think he had something else in mind by “not based on” than the student I was alluding to. After all it’s really a title, “anointed”, which not just some of the Jewish kings got accorded, but if I remember right, also Cyrus the king of Persia. . . . . I hadn’t heard of Peter Meineck, so I looked him up. I have no idea what a “Clinical Associate Professor of Classics” is, but I now want to be one when I grow up. He’s just about got the coolest CV I’ve ever seen. I have a real interest in inferences about character made from visual appearance, so I’d love to get my hands on that lecture you saw. I see he did his PhD thesis on “The Visuality of Greek Drama.” I wonder if the lecture was one of these two items? Theatre”, in The New England Classical Journal, Vol. 39, 2012 pp. 1-47. “The Neuroscience of the Tragic Mask” in Arion: A Journal of Humanities and the Classics Vol. 19. 1.Spring/Summer 2011 pp. 113-158. God, why didn’t I get my degree in Classics? Oh right, because my Greek really sucked, that’s why. I think the lecture was on material from the Arion article. He has a theory about the tragic mask that draws on cognitive studies of the interpretation of facial expressions; roughly, he thinks the tragic mask had a perfectly blank expression and that actors could manipulate it in conjunction with bodily movement, words, music, and the dramatic context in such a way that audiences would more or less naturally interpret the expressions accordingly. He’s made masks of this sort, and he gave us a very convincing demonstration that they work. Whether he’s got sufficient evidence to conclude that the ancient Greek masks were really like that is a different story. But yeah, I thought about your bit on character and visual appearance when I wrote that. Thanks. I’ll take a look at Arion, once (or if) I survive the end of the semester. Of course, I might just break down and read it as a respite from grading: “I just graded five really bad papers. So in compensation, I deserve a reward. Arion, take me away!” You know you’re in trouble when you treat the act of reading a work of scholarship as the bubble bath of your work life.